Updating the Christie Petty-Scandal Registry. Why is it that both you and Slate are trying to downplay the Chris Christie scandal? I have noticed sparse commentary on the scandal and on the other issues coming from this. This is especially troubling considering the discussions behind similar scandals (Blagojevich, Spitzer, Weiner) and especially the amount of time talking about Christie as some sort of potential Presidential candidate (is he the Giuliani of 16? More then likely). 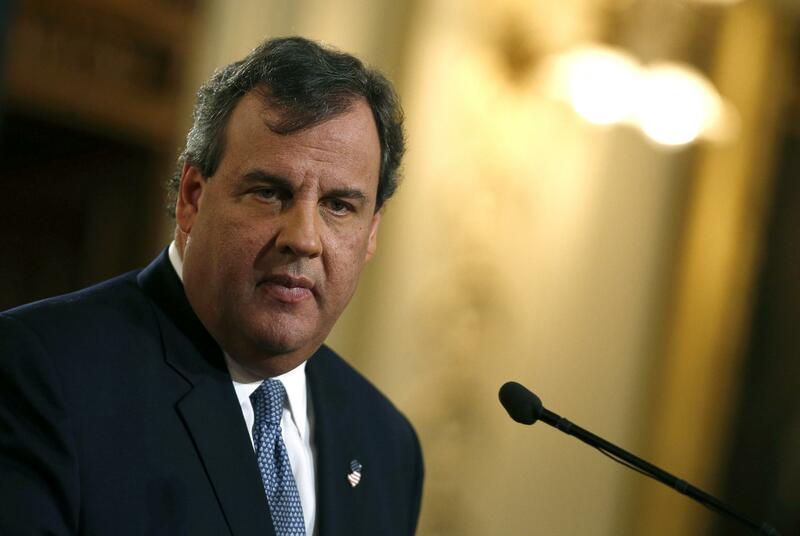 The way you and this site treat Christie is very troubling and shows a lack of objectivity. This is a good question, as I haven’t updated my working list of Christie scandals in a week. 1–19 were posted here, and readers sent in more nominees. I think if Chris Christie ever does run for president, his big albatross in Republican primaries is going to be his relationship with New Jersey political bosses like George Norcross. New Jersey Democrats are largely unable to bring this up due to their similar ties. There have been a lot of controversies with this relationship, such Christie trying to depose Tom Kean Jr. because he feuded with the Senate President (who’s essentially a Norcross puppet), or steering millions in state funds towards Norcross-affiliated Rowan University. The latter incident sparked a major firestorm because of a naked attempt to seize the Camden campus from Rutgers University. Perhaps the dodgiest bit however was Christie’s failed attempt to pursue Norcross on what seemed like slam dunk corruption charges. A convicted felon guilty of conspiracy to bribe public officials purchased the inactive, abandoned, tree and grass covered Fenimore Landfill in the middle of a residential area in Roxbury Township New Jersey. This felon made attempts to purchase this land throughout the 2000s, but was turned away. After Chris Christie took office and appointed Bob Martin to head the DEP, a man with no previous environmental experience and was appointed to promote Christie’s agenda of making the DEP more business friendly, the felon *somehow* managed to get all the waivers and permits in place and a contract signed with the DEP to “properly cap” the landfill by dumping onto the site material known to generate large amounts of toxic hydrogen sulfide gas. Tipping fees collected were to be put into escrow to fund construction of a solar field on the site. The felon failed to follow the rules of the contract and the DEP tried to terminate the agreement. The town of Roxbury began to reek of rotten eggs and residents became ill from the effects of the toxic gas. The DEP finally seized control after new legislation was enacted as a result of pleas of Roxbury residents. The DEP has been trying ever since to control the gas, however their actions bring to question whether they have the residents of Roxbury, or their own best interest. When the DEP took over the site in June, we thought the situation was going to improve. It only got worse for the rest of the summer. The DEP’s answer was to serially attempt the lowest cost solutions. How do we know they were the lowest cost? One of our residents had to submit an OPRA request where they are legally required to respond. Yes, it has been trial and error… The current solution that was forced on us was to install industrial chemical processing equipment, a “scrubber”, in the middle of a residential neighborhood. One of the by-products of this is sulfur dioxide, a toxic gas that cannot be detected by odor until it is unsafe. There have been numerous requests from the town from the citizens to have the material removed. Those have been turned down because it would allegedly cost too much…but no numbers were ever provided. Removing the toxic material was successfully implemented in a similar situation in Florida. The only information we were ever told is a scrubber is coming. It is an unwanted solution to a problem they created. It is now up and running, but the equipment has broken down several times was even intentionally shut down for holidays. Apparently, addressing our health and safety doesn’t merit overtime. Prior to its installation the residents asked for drawings/plans/pictures to see what exactly we are in for. Nothing was ever provided. We continue to ask how is this going to be operated daily for the next 20 years (that is how long it will take the wallboard that is there to fully decompose). No answer is provided. We asked if the local non-profit would be allowed on-site to collect core samples, with our own money, because we are concerned that a convicted felon who was sensitive to trespassing and kicked inspectors off the property on multiple occasions was allowed to operate without supervision for months. We want to know what other toxins we are being exposed to. We are turned away. We can smell hydrogen sulfide. We have been concerned from the first instance that we are being exposed to toxic chemicals that we cannot smell. We’re extremely concerned the only way to finance the operation of this scrubber is to allow another developer to come in and dump more material to generate enough revenue for its daily operation and maintenance. Since the DEP’s seizure of the landfill, monitors have to be run 24/7 to measure the gas levels in the surrounding areas and send alerts when levels spike. Real-time readings can be found here. When levels spiked over the summer, the town opens a respite center for the community. Even after the srcubbers were installed, children have been kept under lockdown in their schools during gym and recess whenever the gas is detected outside. Three of these alerts were issued this just this week! How can this be the best course of action for the residents of Roxbury? An error on the ‘Race to the Top’ application by Christie’s handpicked education commissioner, Bret Schundler, cost NJ $400M in federal education funds. This led to increased tension with the teachers in NJ, which has lasted throughout his term. After Christie’s press conference this week, Steve Fulop, the new mayor of Jersey City, made the comments below. This seems to show a pattern with Christie around the elections last November. All good entries, though the major political development in Christeworld, this week, was the new talkative style of Romney allies who grew to loathe the governor.